MG MGC 1967-1969 avant L ou R Brake Caliper Seal Kit de réparation CAST scelle (5401S). MG MGC Convertible 1967 1969. MG MGC GT Coupé 1967 1969. Contenu du kit. Type Seal Kit. Composantes importantes sont envoyés par transporteur 24/48 heures. 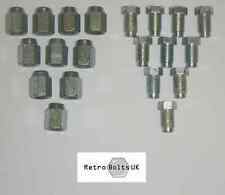 Tubes de jeux pour tous les modèles de MGC MG faites sur un outil à évaser professionnel avec KUNIFER 3/16" conduite générale de frein. Type Brake Line. There are two different types of caliper pistons on MGC's, these are the type with a thin concentric ring cutout, not the type with the deep cutout right on the end of the open end. MG Specialists Since 1982. MG MGC 3.0 | 01.1967>>09.1969| 147. MG MGC GT 3.0 | 01.1967>>09.1969| 147. MG MGC - MGC GT - 1967 1969. Brake caliper repair kits. Brake caliper pistons. A FRONT Seal enough for (1) Caliper to fit. SpecialistBrake Caliper Remanufacturer. Caliper Slider bolts. All Bigg Red seal kits contain all the rubber components necessary to totally strip and rebuild your caliper. Each Goodridge ABS brake line kit is manufactured using Stainless Steel ABS blocks, Stainless Steel fittings and PTFE hose wrapped in a Stainless-Steel braid with a PVC outer to stop dirt ingress. 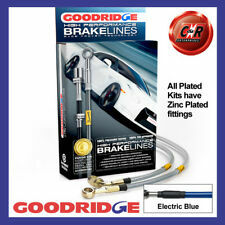 This Goodridge Zinc Plated Brake hose kitcontains 3 hoses. Suitable for MGC caliper pistons with the large cutout on the open end (not the type with the thin concentric ring). MG Specialists Since 1982. IMPORTANT INFORMATION. Wales only;. THESE KITS ARE ONLY FOR CARS WITH GIRLING 16PB CALIPERS FITTED. MG MGC 1967 TO 69. FRONT BRAKE CALIPER REPAIR KITS, ENOUGH TO DO BOTH FRONT CALIPERS. I WILL BE UNABLE TO PROCESS ORDERS FROM THE 14TH SEPTEMBER 2014 UNTIL THE 6TH OF OCTOBER 2014. MG MGC AND MGC GT. SERVO HYDRAULIC SEAL KIT. MG MGC 1967-1969 avant & arriÃ¨re (4) HEL inox frein tressÃ© tuyau Kit (MG4011). Bigg Rouge Ltd. Fabricant agrÃ©Ã© de Hel. Â Un kit de HEL tressÃ©e. MG MGC 3.0 Convertible 1967 1969. SpÃ©cialisteÃtrier de frein Remanufacturer. MG C (3.0 Litre) (1967- 69). ( Not for Benelux versions which have a seperate reservoir ). Don't buy a £20 Brake Master Cylinder off that other bozo who puts (?). everywhere because he does not know about or care about what he's doing. MG MGC AND MGC GT. 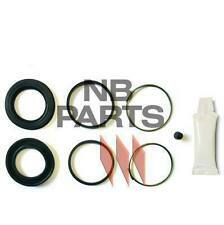 TANDEM BRAKE MASTER CYLINDER SEAL KIT. USA MARKET. MG MGC AND MGC GT. OCTOBER 1967 ONWARDS. MG C (1967- 69). Here's a pair of newFront Brake Calipers (x2) for the following models fromMG -. (Not for the MGB). MG MGC - MGC GT 1967 1969. A complete FRONT seal &stainless steel piston kit enough for (1) Caliper to fit. All Bigg Red seal & piston kits contain all the rubber components necessary to totally strip and rebuild your caliper. MG MGC AND MGC GT. This is for the 7" Girling Mk2b Type servo. Earlier cars of Oct 1967- Feb 68 had the Mk2A servo, this is for the later Mk2B Type servo fitted from March 68 onwards. (Not for the MGC Mk 1 of Oct 67- Feb 68). MG MGC 1968-71 avant L ou R Brake Caliper Seal Kit (5403S) de réparation. MG MGC - MGC GT - 1967 1969. S'il vous plaît noter que nos photos étrier kit de réparation sont images réelles. Contenu du kit. 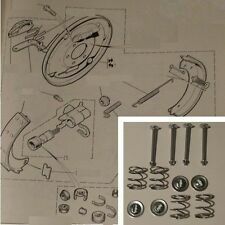 MG MGC 1967-1969 Front & Rear (4) HEL Stainless Braided Brake Hose Kit (MG4011). Bigg Red Ltd. Authorised Hel manufacturer. A HEL Braided Hose kit. with Hel`s own machinery. MG MGC 3.0 Convertible 1967 1969. MG MGC AND MGCGT. REAR BRAKE FLEXIBLE HOSE. MG MGC AND MGCGT. FRONT BRAKE FLEXIBLE HOSE. 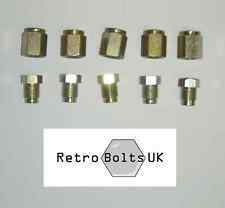 MG MGC 3.0L 1967-1969 Zinc Plated Clear Cover With Goodridge Print Goodridge Brake Hoses SMG0800-3P. Each Goodridge ABS brake line kit is manufactured using Stainless Steel ABS blocks, Stainless Steel fittings and PTFE hose wrapped in a Stainless-Steel braid with a PVC outer to stop dirt ingress. Here's aBrake Servo Repair Kit & Instructions (Made in the UK) for theGirling Mk2a Servo fitted on the following models fromMG -. (Oct 67- Mar 68 Only). I can do much more on the phone. 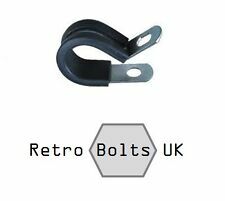 Here's a set (x4) ofRear Brake Shoe Springs for the following models fromMG -. MG C 3.0 ( 1967-69). I can do much more on the phone. CLG for Clear with Black Text, -CB for Carboline, -CL for Clear, -EB for Electric Blue. 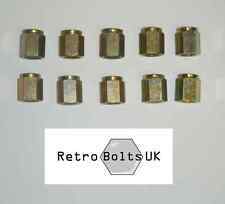 MG MGC 3.0L 1967-1969 Stainless Clear Cover With Goodridge Print Goodridge Brake Hoses SMG0800-3C-CLG. Each Goodridge ABS brake line kit is manufactured using Stainless Steel ABS blocks, Stainless Steel fittings and PTFE hose wrapped in a Stainless-Steel braid with a PVC outer to stop dirt ingress. 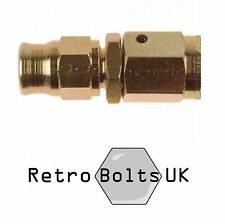 MG MGC 3.0L 1967-1969 Stainless Glow in the Dark Goodridge Brake Hoses SMG0800-3C-GW. Each Goodridge ABS brake line kit is manufactured using Stainless Steel ABS blocks, Stainless Steel fittings and PTFE hose wrapped in a Stainless-Steel braid with a PVC outer to stop dirt ingress.